I am looking for a dependable, quiet vehicle that can comfortably seat 4, and preferably has a large cargo area for the occasions that I need to fit awkard sized items in the rear, or luggage and coolers for long trips. It is only my wife and I, and believe it or not, we currently own a 2010 Honda Odyssey--which fits our needs quite well. My wife often sits in the back during long trips. However, I would like to get away from a van, and have been looking at SUVs. 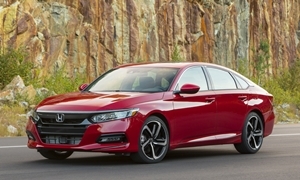 We have been Honda/Acura owners for over 30 years, but I just can't stand the looks of many of the new models, and I am hesitant regarding the 9 speeds transmissions. I would not mind the MDX Hybrid, but it is over my budget, and I would need to get the top tier package in order to get heated rear seats. The two SUVs that I keep coming back to, are the Mazda CX9 and VW Atlas. I have had a couple of VWs in the past (1981 and 2000), and had issues with both--but the warranty is great. However, in order to get heated rear seats, I need to get the top tier package. Even if I stretched my budget, there is not a power front passenger seat available at any price! So, that leaves the Mazda. The interior is great, and I have come to appreciate the exterior--even though I prefer the looks of the Atlas. What holds me back is quality problems: rust/weak AC/broken tie rods/glitches in the display screen. I don't know if I am making too much of isolated or already solved issues?? If I don't go with an SUV, I am strongly considering the Genesis G80 AWD. The base model has all of the features I am looking for, but I don't know if I will come to regret the lack of cargo capacity. I am also concerned with depreciation..
All input/suggestions are greatly appreciated! The updated 9 speed in the 2019 Pilot is having significantly less problems than the 2016-2018 Pilot. It is smoother, too. A minivan will almost always be more practical than an SUV. They are more spacious in the cargo and passenger areas. However, a minivan seems like overkill for two people. Switching from an Odyssey to an SUV is big. You will notice the backseat is a penalty box most of the time. Your Odyssey has a much more comfortable 3rd row than most SUVs. The CX-9 and Atlas are completely different-feeling SUVs that compete in the same class. Addressing the problems with the CX-9: The rust was a problem with Mazda model years from the early 2000s to about 2010. Rust problems are about as common as any of the other brands now. I have not heard of the weak A/C or especially broken tie rods. There were problems with the infotainment system. If it wasn't fixed with a software update, they usually replace the system. This was a problems with the 2016 model year, but the recent ones seem to have much less issues. Because of this, I would avoid the 2016s. The CX-9 is definitely one of the more reliable 3 row SUVs. Unfotunately, the 3rd row in the Mazda is virtually useless. They went with a small interior to improve the styling. I like almost everything else about the CX-9, though roominess is one of the most important features in an SUV. It is much more fun to drive than its competition and handles almost like a sedan. I have driven an Atlas and I really didn't like it. Maybe it is because the only big car I am used to driving is a 2002 Odyssey, which feels much lighter. The Atlas just feels too big. It is heavy, so the engine feels underpowered and the handling is like a boat. Maybe of more importance: the interior does feel almost as large as a minivan. The Virtual Cockpit is nice. The interior feels worse than some modern GM SUVs, which is bad and unusual in a VW.I wish VW made it feel more German and not American.You get poor German reliability with American cheapness in my opinion. Consumer Reports gives the Atlas a Poor reliability rating. There are many other good SUVs to look at, such as the Kia Sorento, Toyota Highlander, the new Hyundai Santa Fe 2 row, and 2019 Honda Pilot. The Acura RDX is having problems, but is otherwise a great SUV. 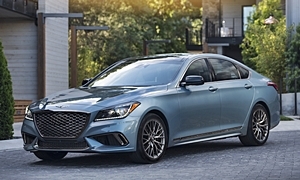 I'm not a fan of SUVs and probably will never buy one because you don't get as much car for the money and everybody "needs one" now, so I like the idea of a Genesis G80. It is a good car. I have heard there are some problems with the dealers right now and something about an inventory issue. You buy them through your Hyundai dealer. Depreciation is a problem with Genesis. I feel like a Honda Accord Touring 2.0T would be a little better. It feels very premium, spacious, and drives great. When deciding which rear seat is the best in every auto show I have been to in the past few years, I always think the Accord and Civic are the best. Genesis is in the top five. Cadillac was comfortable, also. The Accord and Civic have heated rear seats in the Touring trim. Accord has heated and cooled front seats. Feel free to ask more questions and please tell us what you buy! Back in April when a tree fell on my car, I went and looked at cars and SUVs. I don't disagree with what Lectrofuel wrote, but there were some other SUVs I looked at as well which are fairly reliable but may be out of your price range if you insist on new. The three reliable SUVs I looked at in addition to the above are the Lexus RX (new and used as they are really reliable), the Buick Envision (only new as it has been out for only three years in the USA and they are not available used - and can be purchased at a great discount), and the BMW X3 series (not quite as reliable as the preceeding two, and more expensive). In the end I ruled out the BMW due to the reports of some of the concerns it has. I ended up with the Buick because I got a huge discount of 28% off MSRP because in April, they went to the 2019 model year and from a six speed transmission to a 9 speed transmission. I have the heated rear seats and loaded model for just under $38,000 (MSRP $53,000). If you can find a 2018 you probably could get the same deal for very little money as I would imagine with the 2019s out since April, while the selection is probably not great they are proabably trying to dump them now. Overall however Lectrofuel did not steer you wrong. For reference, here is a link to cars discounts publically available on the latest model year as of right now. Note that you probably can find more discounts on specific models but this is a starting place. Best of luck. The Envision is probably the definition of what you are trying to find. I forgot about that one. Long term reliability is not really known. So far, reliability has been decent and the same powertrain in other GM models has been good. The 6 speed in the pre refresh model should be more reliable. I have read somewhere that GM sources their transmissions from Toyota (Aisin) for their first few model years of a given car. This improves GM's reliability ratings and then they come out with the new transmission (9 speed) and sell them to the guinea pigs. Pretty smart. If the size is palatable the Buick Emvision Prem ll is running a year end special that is $15,000 off MSRP. That is a $50,000 loaded SUV for about $35K and the best deal in the segment, and segments below and above it. GM has sold transmissions to BMW and Volvo in the past as it is not uncommon to use a transmission from another manufacturer than in house. Aisin is used, aside from Cadillac XT5 and CTS Vsport, as a stop-gap for discontinued models like the LaCrosse and the now PSA owned Opel/Buick Insignia/Regal AWD. The Regal FWD versions get the GM 9-speed. But soon there won't be a need for tranmissions as EV take over as witnessed by the almost two dozen EV's GM is to introduce by 2023. Even Toyota has dropped the Synergy tag line from Prius models going forward. 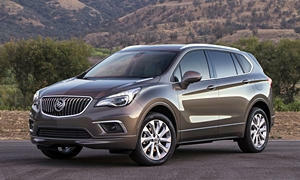 GM bread and butter 9-speed is used in almost all new, front wheel drive model. Buick Regal may replace the 8 speed with the 9 speed from GM, Norm, but not guaranteed. Why? Because sedans don't sell and GM does not control the plants that the Regal is built in. Opel was sold to Citrogen and GM contracted them for a four year contract to build the Regal. The cost and coordination of replacing an engine for a three year (remaining) model is not worth it. So some Buick Regals will use the Aisen transmission, and some will use the 9 speed from GM probably to the end of the contract. If they spend the money to upgrade I am wrong but for the reasons above (limited timeframe for car being built, lack of control over Opel anymore, cost for changing over) I doubt they will do it. We will find out quickly as 2021 is probably the last year of its production at most. We, as tuners, do not recommend Aisin in GM cars as they are not supported with most tuning software as there is little demand to exu/TCU tune those vehicles. There is nothing wrong with their higher torque applications from what I have heard. By 2023 GM will have release 20 EV so there probably won't be much more development in automatic transmissions for smaller passenger cars. 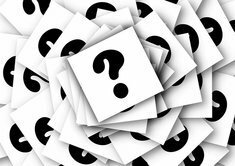 Thanks everyone for taking the time to give such detailed responses! I have to admit, that Buick was never on my radar--I always thought that they were for old people (even though I am 63...) However, they do make a good looking vehicle, and the discounts are incredible. So, I owe it to myself to at least take a look at an Envision. Mazdas since the 2000s have almost always been very reliable. About as good as Honda. Toyota/Lexus still beat Mazda, but only by a little bit. They don't have the sales numbers of the big automakers but they know how to build great cars. I don't really have any bias for or against any brand, by the way. 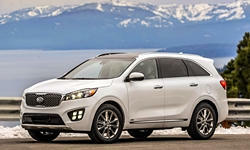 The Sorento is also a great SUV. You get a 100k mile 10 year powertrain warranty with Kia and Hyundai. Kia is pretty reliable, though Toyota and Mazda are usually a little better. Kias and Hyundais depreciate more than the average brand. I would skip the 3 row Sorento and go with the new 2019 Hyundai Santa Fe. People seem to really like it. You will have a lot of cargo space because there is no 3rd row in the new Santa Fe. Ditto what LectroFuel said. No car car is perfect but you are likely to have fewer issues with a Mazda than most. CR rates Mazda's among the best and CX-9 is no exception. I wouldn't let reliablity worries steer you away for the CX-9 if that one best meets your needs. 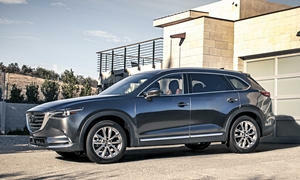 Motor Trend's longterm CX-9 was showing consider wear, so bad it showed up in their photographs. Aside from piano black center console scratches at 27,000 miles zooming in on the leather seats and center console elbow are shows noticeable wear. "...The one glaring exception to this observation, though, is the heavily scratched piano black finish on the center console and door armrest. As good as piano black may look in a design sketch, it just doesn't make sense to use it on a surface that takes so much abuse..."
The CX-9 also was called out for it's lackluster AWD by Motor Trend. YouTube videos of diagonal incline test had it overload the AWD to shut it off. The Mazda, Kia, Hyundai, and Buick are all good options. It just depends on the end of year discount you can get and what you like. Best of luck.